Next time you decide not to ride because you don’t have much time think again: New research has shown that even 25 minutes of light exercise may benefit your horse’s health, even if it doesn’t result in additional weight loss. The study Influence of dietary restriction and low-intensity exercise on weight loss and insulin sensitivity in obese equids was carried out by Nick Bamford and his colleagues at the University of Melbourne’s Faculty of Veterinary and Agricultural Science, in collaboration with feed manufacturer Spillers. A total of 24 obese horses and ponies were randomly divided into two groups; ‘restricted diet only’ or ‘restricted diet plus exercise’. All horses and ponies were fed the same diet of restricted hay (no grazing), a small amount of alfalfa chaff and soya bean meal, and a vitamin and mineral supplement. The exercise programme, which was designed following feedback from horse owners to help ensure it could be implemented relatively easily in ‘the real world’, consisted of 15 minutes of brisk trotting (with a five-minute walk before and after) five days per week for 12 weeks. The ‘restricted diet only’ group showed an overall reduction in body weight and body condition score. They had increased levels of adiponectin – a hormone produced by fat cells, low levels of which are a risk factor for laminitis. They had decreased baseline insulin, high levels of which have been linked to an increased risk of laminitis, and decreased leptin, high levels of which are associated with obesity. Although exercise did not increase weight loss, it did produce additional benefits that were not seen in the ‘restricted diet only’ group, the most important one being improved insulin sensitivity. More insulin sensitive horses and ponies need to produce less insulin in order to control their blood sugar. This is important because high levels of insulin in the blood and/or reduced insulin sensitivity are risk factors for laminitis. Horses and ponies in the exercise group also had decreased levels of ‘serum amyloid A’, a protein that is a marker for inflammation. 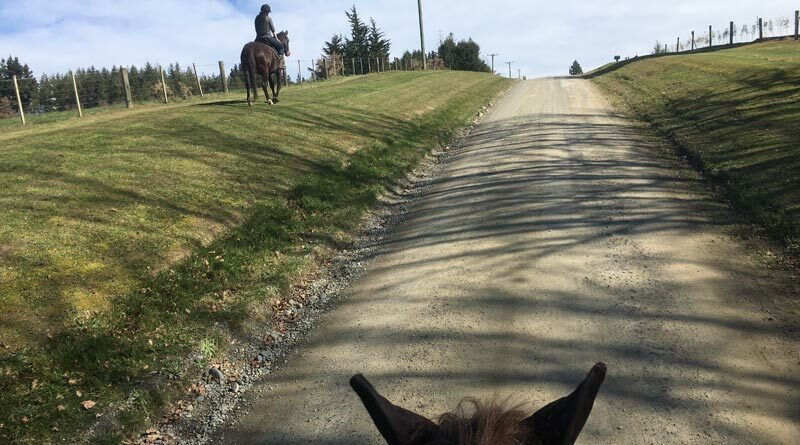 “Reducing calorie intake and feeding a diet low in starch and sugar should be the priority for overweight horses and ponies,” said Clare Barfoot RNutr, the research and development manager at Spillers. Seek advice for from your vet before introducing any exercise or increasing the level of exercise if you are unsure whether or not your horse/ pony is sound. All exercise should be introduced gradually. The exact amount of exercise required is yet to be established – even if you are unable to follow the exercise programme used in this study, some exercise may still be beneficial. Speak to a nutritionist for advice on how to restrict your horse/ pony’s forage safely, particularly if they do not have access to grazing or you are feeding soaked hay. Cut calories not nutrients! Overweight horses and ponies still require a balanced diet and forage alone, particularly when provided in restricted rations or after soaking, is unlikely to meet protein, vitamin and mineral requirements. A balancer is the ideal way to provide essential nutrients without excess calories.